1) Professional photo session with the entire event prepared by the company SRT-Studio (www.srt-studio.com) – gallery 100 photos/150 polish zloty. 2) Accommodation – Guesthouse “Przegorzały” of the Jagiellonian University (www.dg.uj.edu.pl/przegorzaly) – 15 minutes from the paintball field by walk. 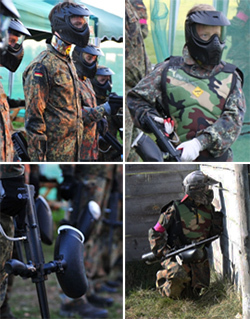 3) Transport from your hotel in Krakow to Paintball Center (round-trip).